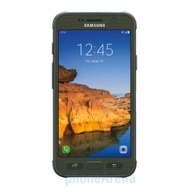 alaTest ha raccolto ed analizzato 671 recensioni su Samsung Galaxy S7 Active. La media della valutazione per questo prodotto è 4.2/5, confrontata con la media della valutazione di 4.1/5 per altri Cellulari. Le persone sono impressionate da fotocamera e durata batteria. In aggiunta, usabilità e qualità fabbricazione ottengono un buon feedback, tuttavia si riscontrano recensioni differenti riguardo la ricezione. La portabilità ha ottenuto recensioni critiche. Abbiamo analizzato differenti valutazioni di esperti ed utenti, età del prodotto ed altri elementi. A confronto con altri Cellulari, Samsung Galaxy S7 Active ha ottenuto un alaScore™ complessivo di 90/100 = qualità Eccellente. The Galaxy S7 Active has everything we love about the original model, but with a tougher build and a battery that lasts for days. The Galaxy S7 Active has extra long battery life and is resistant to dust, water and drops. It has has the same speedy performance, expandable storage and excellent camera quality as the original S7. The bulky, plastic design feels cheap compared with the glass-and-metal S7 and the phone is expensive. AT&T customers looking for a durable and high-end smartphone can't go wrong with the Galaxy S7 Active. With the Galaxy S7 Active, Samsung adds a shatter-resistant build and a bigger battery to the already spectacular Galaxy S7, making it the best rugged phone AT&T subscribers can get. Rugged build. Fast performance. Long battery life. Excellent camera. Sharp, bright display. Customizable Active button. The bulky, plastic design feels cheap compared to the glass-and-metal S7 and the phone is expensive. There's no beating the Samsung Galaxy S7 Active if your phone routinely takes a beating. Its shatterproof screen and water- and dust-resistant design stand up to the elements, but get ready to pay and sign with AT&T. The phone catering to active lifestyles failed two of our four submersion tests. Samsung delivers in a big way, but will we be buying?